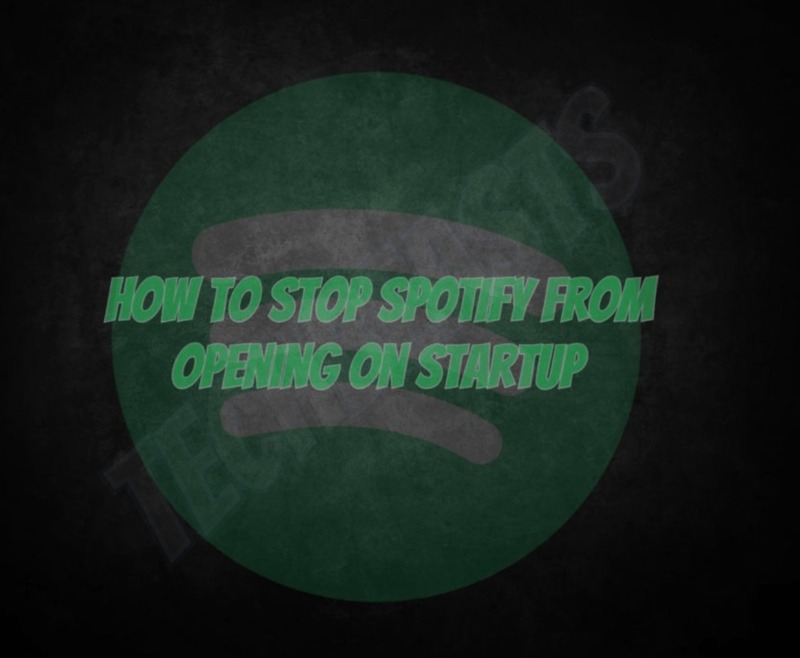 Let’s tell you how to Stop Spotify from Opening on Startup. It gets annoying sometimes. I mean I don’t Spotify poping-up every time I turn on my PC and Spotify shows up. So I disabled Spotify Automatic startup. Today, I am sharing with you so you can get rid of this annoying situation. There is no rocket science behind it, all you have to do is change few settings and you’ll be good to go. Let’s get started now. How To Delete a Spotify Account. Unlimited Free Trial Subscriptions of Spotify. I have used two methods and both of them worked for me. You don’t have to go through from a lot of work etc, just follow the steps below. The first method is both for Windows and Mac. The second method is only for Windows users. Launch Spotify on Windows or Mac. Select “Edit” > “Preferences” for Windows and for Mac -> “Spotify” > “Preferences”. Once you are in Settings, Scroll all the way down and select “Show Advanced Settings”. Head to “Startup and Window Behaviour” section. Look for “Open Spotify automatically after you log into the computer” -> Click on the drop-down menu -> Select No. That’s it. Now, whenever you restart or turn on your Windows or Mac PC. Spotify won’t open on startup. If you ever think of getting it back, repeat the same process but this time, select YES instead of No for “Open Spotify automatically after you log into the computer”. If you are a Windows user then this is the easiest method you can find to disable Spotify on startup. Heed the instructions below. Right, Click on your desktop, make sure on the blank side. Select ”Task Manager” from the pop-up. Head over to the ”Startup Tab”. look for Spotify, ”Right Click” on it -> Select ”Disable”.